Top grossing auction (of less than three days’ duration) in Scottsdale: RM with $63,605,500. Most transactions hammered at $1 million or more: RM with fourteen. Greatest total sale increase from 2014: RM, up 39.6% from 2014, itself up 25.1% from 2013. Put in some sort of perspective, it was only five years ago that RM broke $63 million for the first time, at Monterey in 2010. 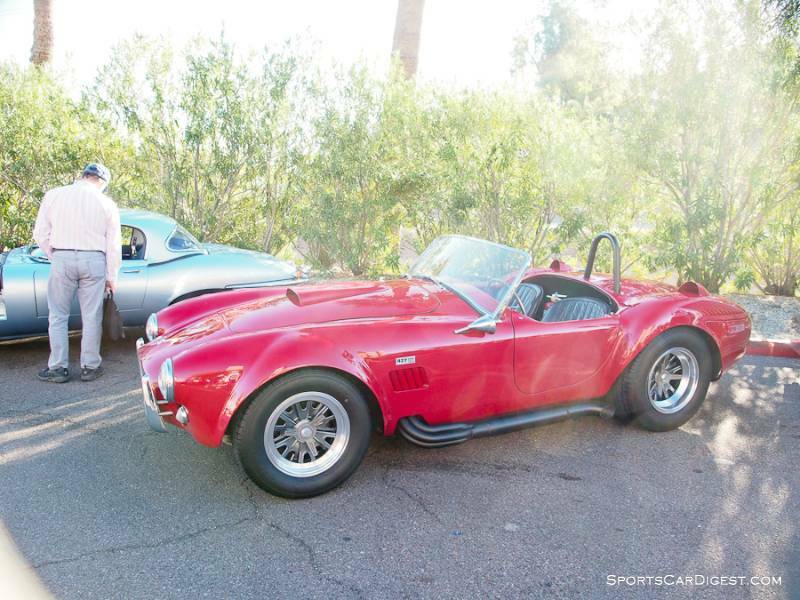 Only 21 auctions have exceeded RM’s 2015 Arizona total; all have them have been either in Monterey or multi-day sales. RM Auctions should be very proud of what it accomplished in Arizona. 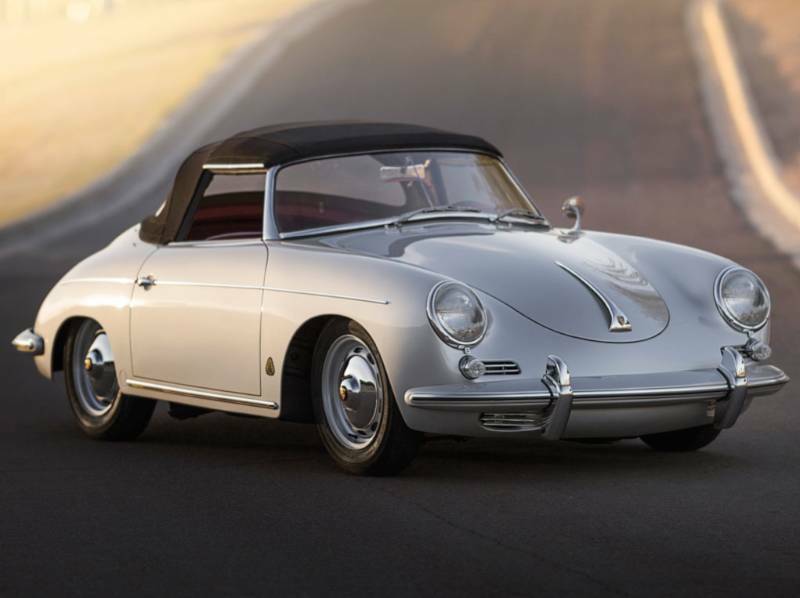 In the midst of a nearly impossibly busy auction schedule (they’ll be in Paris in three weeks, in Amelia Island five weeks after that and then only seven more weeks before the Andrews Collection auction in Texas) RM piled up one of its most impressive sale totals ever. That they did it without a single eight-figure transaction highlights just how good and diverse the consignment assembled at the Biltmore was. 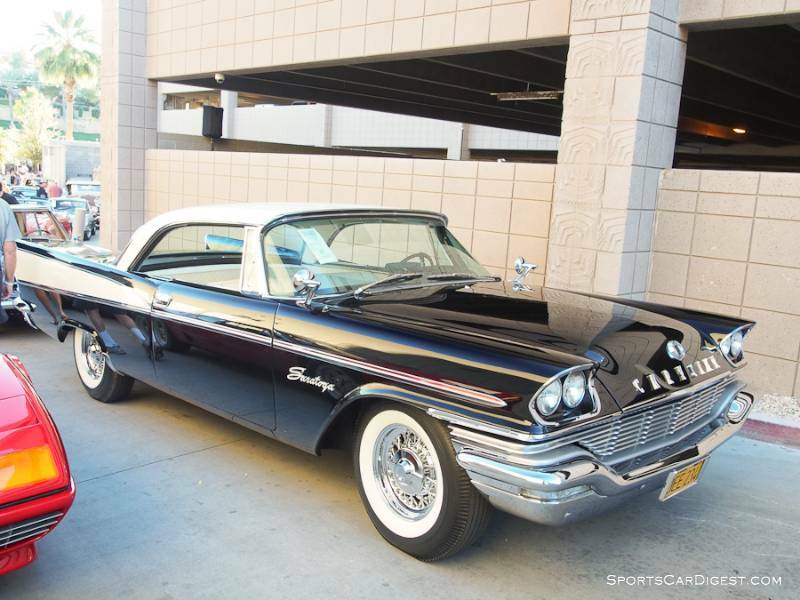 Lot # 106 1957 Chrysler Saratoga 2-Dr. Hardtop; S/N L5726168; Engine # LE5729621; Black, White roof and accent/White vinyl, Red cloth; Estimate $60,000 – $80,000; Cosmetic restoration, 3+ condition; Hammered Sold at $40,000 plus commission of 10.00%; Final Price $44,000. No Reserve – 354/285hp, single 2-barrel, automatic, chrome wire wheels, whitewall bias ply tires, automatic, P/S, P/B, pushbutton radio. – Good paint, chrome, interior and panel fits. Underbody repainted over old undercoat. A good older cosmetic restoration with some age and use. – Sold at Branson Spring in 2011 for $42,660, then at Mecum Indy a month later for $58,300, this Saratoga turned up at Barrett-Jackson WestWorld in 2014 and brought $59,400. 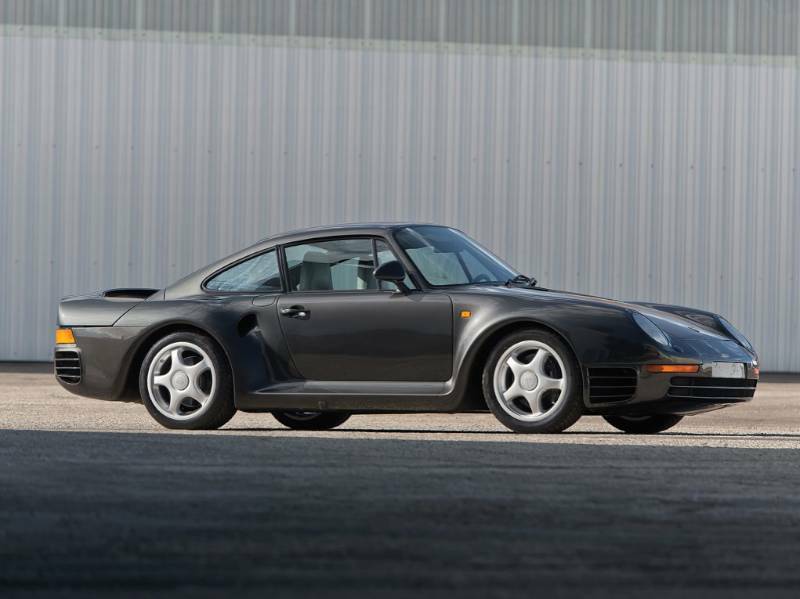 It has fared well in the intervening year in condition, but not in the bidders’ opinion of value. 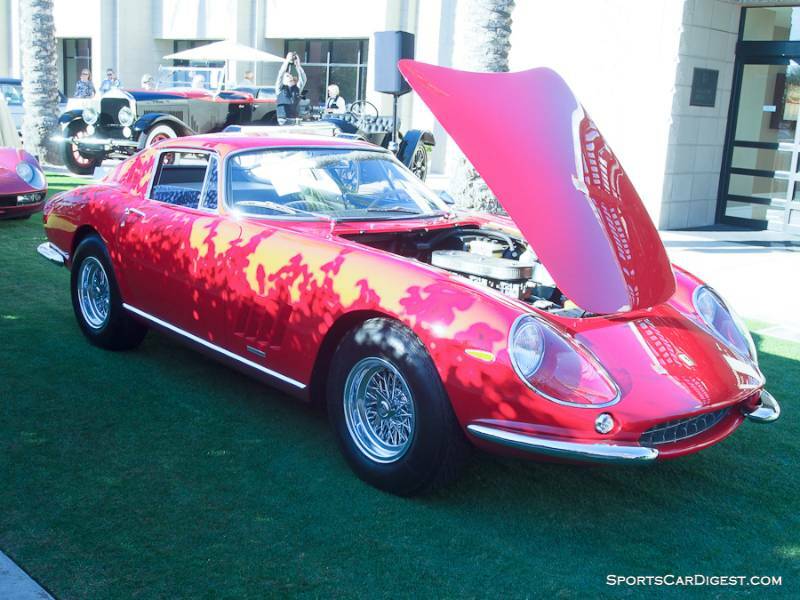 Lot # 115 1966 Ferrari 275 GTB Coupe, Body by Scaglietti; S/N 08603; Engine # 08603; Rosso Rubino/Black leather; Estimate $2,750,000 – $3,500,000; Older restoration, 2- condition; Hammered Sold at $2,500,000 plus commission of 10.00%; Final Price $2,750,000. – Chrome spoke polished rim Borranis, Michelin X blackwall tires, Talbot outside mirror, books and tools. – Very good paint done in the mid-90’s and chrome. Upholstery is lightly surface creased but barely used. Engine, underhood and chassis are used, dusty and a little grimy. A well restored car that has been used as intended and needs to be detailed. – It is surprising that the consignor failed to give this expensive Ferrari even the minimal pre-auction preparation it deserved which goes a long way to explaining when it failed to meet RM’s reasonable low estimate. The value curve for 275 GTBs of all sorts is approaching vertical and carried this one along although with a few thousand dollars of professional detailing and touchup this will be a better car than the price it brought. Lot # 119 1971 Lamborghini Miura P400 SVJ Coupe, Body by Bertone; S/N 4892; Engine # 30640; Rosso Granada, Gold sills/Red leather; Estimate $2,000,000 – $2,600,000; Older restoration, 2- condition; Hammered Sold at $1,725,000 plus commission of 10.00%; Final Price $1,897,500. – P/W, gold alloy wheels, covered headlights, grille-mounted driving lights, described as factory modified to Jota-specs. – Very good paint, interior and bright trim. Little to no wear on the interior. Underbody is dirty. Very clean engine compartment. Thoroughly documented to support the factory modifications. – Sold by RM in London in 2010 for $1,148,930, a choice example of the most desirable of all Miuras, which by any definition means very desirable. Bought reasonably here. 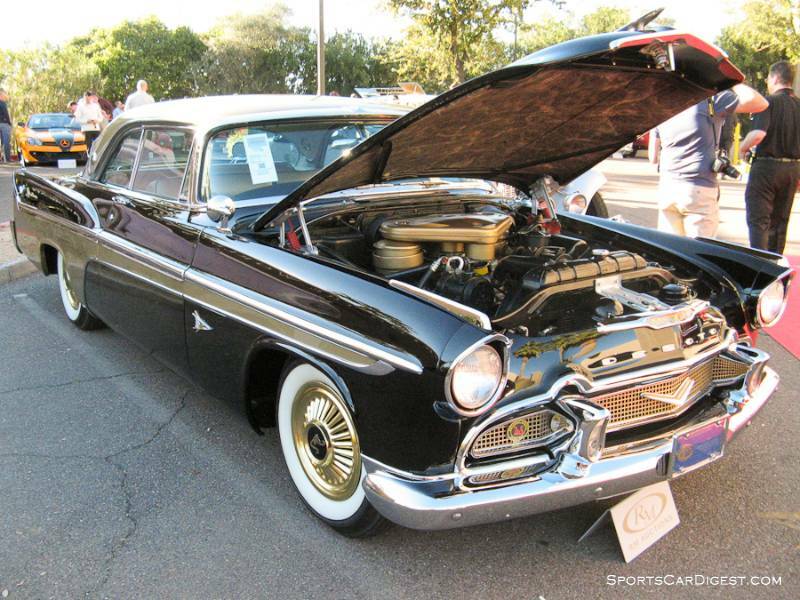 Lot # 120 1956 DeSoto Adventurer 2-Dr. Hardtop; S/N 50385933; Engine # ; Black, Gold/Gold cloth, vinyl; Estimate $125,000 – $175,000; Older restoration, 1- condition; Hammered Sold at $75,000 plus commission of 10.00%; Final Price $82,500. No Reserve – 341/320hp, automatic, air conditioning, power windows, power seats, station-finding radio, steering wheel hub self-winding clock, Highway HiFi radio, gold wheel covers, bias ply whitewall tires, chrome wire wheels included. – With 996 built, this is rarer than the Chrysler 300B, but there are few survivors. Well-equipped and extremely well restored in 2005 by specialists. The paint, chrome plating, trim alignment and anodizing are very good, though panel fit is average. The engine compartment is clean and correct, and the interior striking in gold cloth and vinyl. – One of a few, fabled Adventurers, this is an appropriate result for a hardtop, despite the generous pre-sale estimate range. Lot # 126 1966 Shelby Cobra 427 Roadster; S/N CSX 3102; Engine # C3AE3059A; Red/Black leather; No top; Estimate $1,000,000 – $1,400,000; Rebodied or re-created, 3 condition; Hammered Sold at $900,000 plus commission of 10.00%; Final Price $990,000. – 427/425hp, dual quads, 6-spoke Halibrand style centerlock wheels, Radial T/A blackwall tires, black side exhausts, rear fender top brake cooling scoops, outside fuel filler. – Original Shelby/AC Cobra 427 body from CSX 3005 with modifications specified by Bob Johnson for a comp Cobra never completed after being reduced to an open-wheel special in Japan in the 80’s and then reconstituted as a Cobra. Sound paint, chrome and old interior showing use. Underbody and interior panels are aged and lumpy. – Sold by Mecum at Monterey in 2010 for $689,000, this Cobra’s ‘interesting’ history detracts from its value but it is in many respects a slice of the Shelby Cobra heritage that shouldn’t be neglected. It’s a real big block Cobra 427, unlike the later 428s, with a competition spec body. It’s probably better in history, performance and specifications than the price it brought. impresive but i am botherd by house shills to drive up the price. I hope you will elaborate on this observation, including specifics of cars and individuals. my comment was not for this auction but others i have attended.where you can pick out bidders that are working for the house.as a vendor i would appreciate someone boosting the price . Thanks for clearing that up. It sounded like it was in reference to RM AZ and they do not deserve to be tarred with that inference. The auctions in general deplore ‘help’ from consignors’ shills and I’ve seen many instances where, when it is recognized, they unceremoniously dump the car on the shill and let the consignor eat the commission both ways. It is an expensive lesson. The auction company can both ethically and legally — and frequently they do — ‘bid for the reserve’ where there is one and there is only one serious bidder. On the other hand, I too have seen shilling practiced. It usually is artless and almost humorously funny to watch. The most egregious instance was a sale two years ago where such shenanigans were widespread, The shill was easily recognized as part of the auction company team even though he wandered aimlessly as if to disguise his machinations by bidding from different places in the [sparse] audience. He even referred to a big clipboard which apparently contained the ‘target’ numbers. That auction came and went in one inglorious burst of promotion when their backer realized what his team had perpetrated and terminated the lot of them. No loss there. i do appreciate your concerns. That’s already in place at some auctions with photo bidder i.d., but it doesn’t address the problem of the friend/brother/cousin shill with their own bidder number. And, of course, it’s completely irrelevant for the auction that stuffs the docket with its own inventory and shills with a staff member. Rick, the Harrington bodied Sunbeam Tiger caught my eye, and in an effort to see other views of this “unique”, “only Harrington bodied Tiger coupe”, I Googled “Harrington Sunbeam Tiger”. Imagine my surprise when other examples showed up in the “images” collage. I don’t agree. The images that Google pops up are, as is often the case with Google, indiscriminately mixed as long as the label says Harrington. There are both Alpines and the Tiger pictured. Be cautious of colors and wheels, which vary over the half-century life of a car like this. The Harrington Alpine registry definitively identifies this car as the only example. They should know. It may be the best buy of the Scottsdale week. 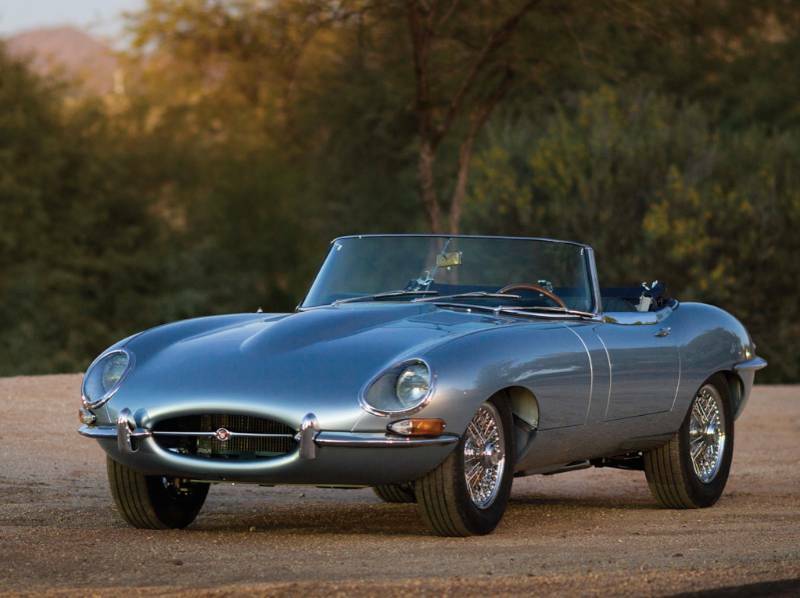 One of the first people to report on the collector car market, Rick Carey’s market knowledge is unparalleled and he has one of the largest databases of auction transactions. Carey has a strong background in racing, particularly road racing in International GT endurance competition and an interest and focus upon the collector car market including historical trends and economic analysis. For more from Rick, visit RickCarey.com.